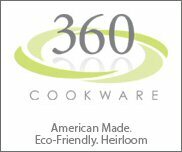 The Made in America Gift Guide is just one of many web sites we operate to promote great products Made in USA. The following web sites are our partner web sites. Our Flagship is BuyDirectUSA.com which launched in 1998 to help create jobs for Americans and promote American manufacturing. We use our other web sites and social media channels and more to help our advertisers reach as many potential customers as possible. BuyDirectUSA.com – This web site not only promote Made in USA products by American owned companies, they also post great articles, news, blogs and sales and specials. 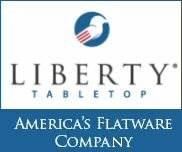 ChristmasMadeinUSA.com – Made in USA Christmas Gift Guide is updated Annually but active all year long to help manufacturers and retailers who offer American Made products be found by consumers during the holiday shopping season. Made in America B2B – Made in America B2B is for Business to Business customers. 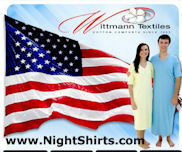 Here retailers can connect to manufacturers and find great products Made in USA. Likewise many of our advertisers offer customized services such as screen printing, specialty tags for clothing and more and technology rentals for events, training and more. The Buy American Movement – The Buy American Movement is another web site we developed to showcase our advertisers and connect with consumers who wanted to be part of our mission of creating jobs for Americans by supporting American Manufacturing. 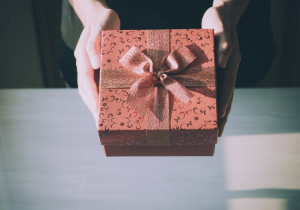 Made in America Gift Guide – The Made in America Gift Guide is our year round gift guide for consumers to find great gifts Made in USA. 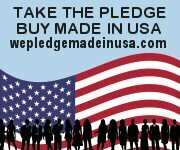 We Pledge Made in USA – We Pledge Made in USA is a pledge web site for consumers and manufacturers to sign and show that when we the people are united we are an unstoppable force. Take a moment to sign the pledge and share it with your followers on social media as well as your friends and family.